Sara Ali Khan is riding high in the sky with her successful films. Two back to back films Kedarnath and Simbba doing well at the box office particularly the latter one. This has given multiple projects to the young actress replacing the ones who have been going great guns in the industry but of late have failed to deliver successful ventures in the B Town. Similar is the story of Disha Patani. Sara Ali Khan has now become a coveted celeb for big business brands. Her presence in a number of meaty deals talks a lot. She has replaced a couple of B Town actresses in ads and endorsements of different top brands. First, she replaced Shraddha Kapoor and Shruti Haasan first and now we hear Disha Patani. Sara Ali Khan would be replacing Disha Patani for the ads with top sports brand called Puma with Indian Cricket skipper – Virat Kohli. 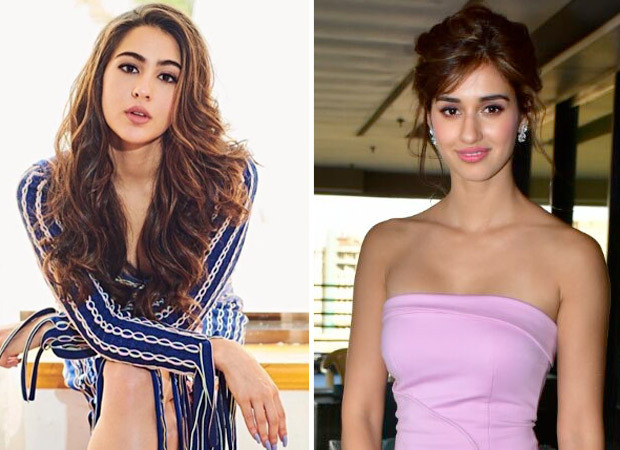 As per reports, Disha Patani has completed with a contract with the brand and it was not renewed by the company as they picked up a new face with higher brand value, Sara Ali Khan. The newbie actress was found out to be the most promising and fitting face for the brand. She has inspired millions of youth and others that impressed the brand to take her up for the venture. Currently, Sara Ali Khan is doing her next film Love Aaj Kal 2 opposite Kartik Aaryan. Stay tuned to know more about the film and others. Also, you can comment on it and let us know how did you find this new face for the brand.